YA Paranormal Mystery / YA Urban Fantasy novel. Shade’s full name is Galactic Shade Griffin, which is catnip for bullies. Life at her new school is a struggle. 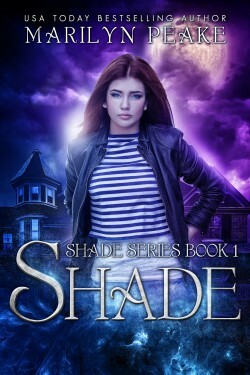 With the help of a ghost when her best friend goes missing, Shade faces the question of whether or not she has what it takes to become a true hero. Although this novel deals with a number of serious issues—drug and alcohol abuse, cutting, and disturbing world events—it’s primarily a novel about a teenaged girl finding out who she really is and that she’s capable of so much more than she ever thought possible. Finalist Award in the 2015 National Indie Excellence Book Awards, Young Adult Fiction Category.